One of the great things about a bright idea is that someone comes along, innovates and makes it even better. Last year Greater Manchester Police had the bright idea of tweeting all the calls they had in a 24 hour period for #gmp24. 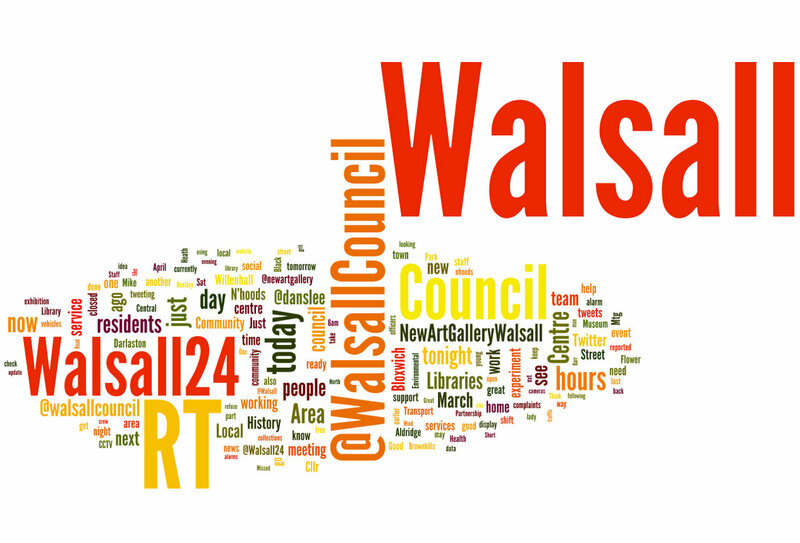 At Walsall Council we picked up the ball and hooked up 18 Twitter accounts to tweet what an average local government day looked like for #walsall24. The linked social approach went global with a 24 hour event that reached a potential audience of more than a million people. Water Aid 24 was a worldwide operation realtime stories were posted from across the world moving from Australia to Nepal to Africa and South America. 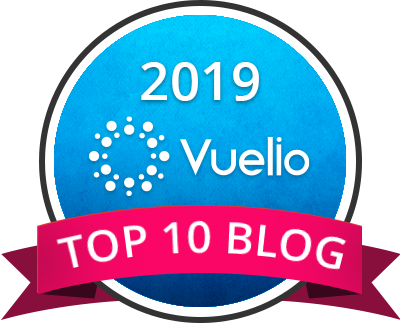 On the blog, Slus Simba, Papua New Guinea, on the Water Aid blog wrote about his pride in encouraging people to build life saving water toilets. 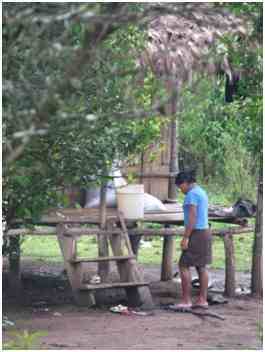 In Nicaragua, Mishel, aged 15, has to collect water herself and walk home with it. We get to see a twitpic of her. In Mozambique, taps were installed at two primary schools while in Britain, the routine back office functions were tweeted. In Timor Leste, Jose ‘Rui’ de Oliveira Pires drives an hour by motorbike every day to remote villages to carry out work. In Liberia, it takes two days to travel 300 miles. Roads as well as water is needed. It’s the bringing together of those stories that build a picture of work going on around the globe. It brings the fact that people die from water borne disease right home to your smart phone. The subtle message is this: give us the means to act and we’ll do it for you. But the YouTube clip recorded for Glastonbury that’s embedded above also helps deliver the message in a fun, accessible way. It thinks big. It brings together a variety of voices to tell a louder story and it uses the real time approach that is uniquely powerful. There is a stronger connection made in real time by a message delivered with a picture. But the campaign does not stay on Twitter. It’s on the Water Aid blog, YouTube on their website and is communicated through the traditional means through press release to the media. It’s brilliant stuff and shows how social media and traditional routes can work hand-in-hand. You can also read the highlights of the event on storify here. Funny how an unremarkable Spring day in the West Midands can go down in history. 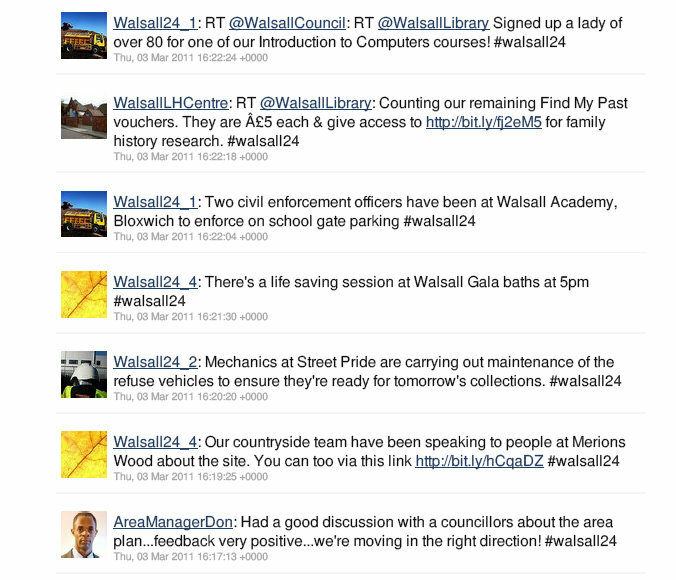 From 6am on March 4, an audience of 116,273 on Twitter got to hear about the Walsall 24 experiment staged by Walsall Council. Those figures are tweetreach.com, by the way. Not mine. 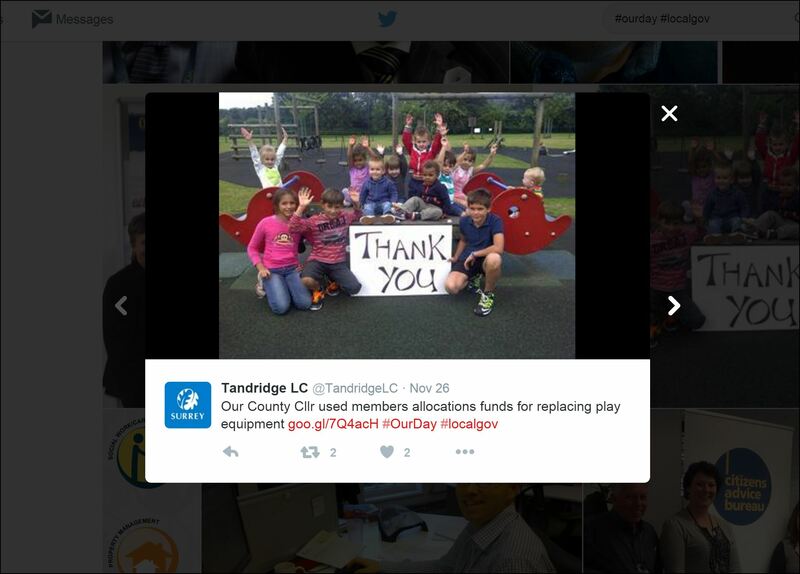 Historically, this was the first time a council had tweeted a snapshot of what it was doing in real time in the UK. Quite possibly this was a world first. That’s worth a ‘woot!’ in anyone’s book. Yet, every day local government does tens of thousands of things for its residents. It was this lazy myth we looked to explode with Walsall 24. There’s a blog post one day in the brass tacks of how the event was done. By the way, this is an idea I’m proud to have played a role in amongst quite a sizable cast. 1. The tipping point has been reached. It’s not about whether or not local government should use social media it’s how. 2. The internal battle has been won. People who 12 months ago were sceptical were keen to get involved. How do we channel that? 3. It’s not about network access. In the opening minutes of Walsall 24 we tweeted on a Blackberry because the network decided it didn’t like Twitter. 4. It’s ALL about network access. ‘This is great,’ one member of staff said, ‘but I couldn’t log on to my PC to follow it.’ Opening up social media internally would have been a powerful way to tell the story to the staff. 5. This could only work through collaboration. It was a neighbourhoods officer Kate Goodall that did much of the groundwork to get people on board and head of comms Darren Caveney that secured very top level buy-in. Without this it would have looked threadbare. 6. People like being told how their council tax is spent. No matter how routine. One person said that they didn’t like the updates. That was after the event. 7. Having people in service areas savvy with social media is a good thing. Spread the joy. Don’t hog it. 8. Getting people together in a common cause makes a bigger noise. The noise made by more than a dozen is more than an individual. 9. Innovation is a good thing. It makes you look at things in a different light. In the old days something like this may have been bought in from outside. Not any more. 10. This is the future. It’s not a hypothetical theory. It’s real and it’s here. 11. Free is good. Doors opened because there was no charge to this. 12. I never knew local government had people out at dawn investigating noisey cockerels. But we do.